A blue sword is probably the most common weapon on a battlefield, and every foamsmith should learn to construct one. 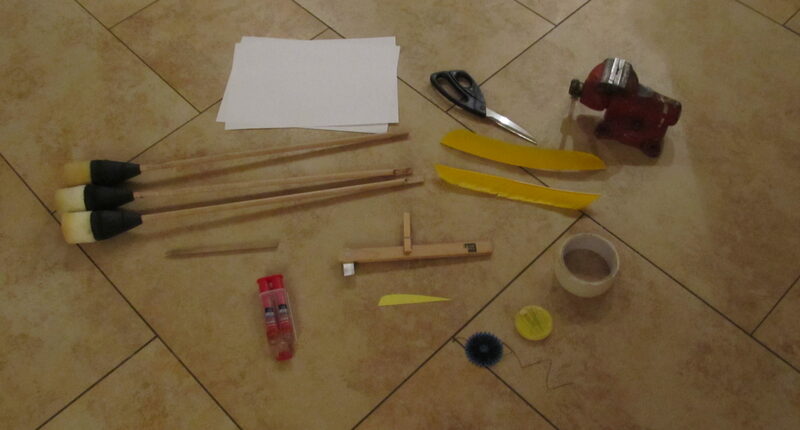 A basic sword can be constructed in an hour, with under $10 worth of materials. More advanced versions demand more effort, but can have remarkable appearance and performance. The suggested core is 1/2″ solid fiberglass, although 3/8″ can serve on shorter weapons. Kitespar and golfclub cores are featherweight alternatives. PVC is a common choice, but has significant problems with weight, durability, and appearance. Creating a durable and safe blade is the most important part of creating a blue sword. There are a number of competing theories on the best method. We include each method here since we find each technique has its own time and place. The sword’s Guard (also known as a Quillion or Tsuba) is important to echo the appearance of a real sword. With a real weapon, the guard was needed to prevent the hands from sliding up onto the blade, as well as protecting the hand from shields and weapons. With foam swords, the blade is often wider than the wielder’s grip, so a hand sliding onto the blade is unlikely. The presence of a guard is a mark of detail and care in weapon construction, and foamsmithing.com recommends it for any blue sword. There are a multitude of ways to construct a handle. The simplest is a piece of rope coiled around the core. Counterweighting, handle shaping, and alternate grip materials are all ways to personalize your sword while improving its handling. A pommel is required to meet eye safety standards. There are a few different construction methods that give different appearances, but all are generally safe and durable. Stab tips open a new realm of potential techniques for a fighter. In the past, open cell foam led to fragile stab tips on blue weapons, but newer techniques allow for low maintenance stabbing swords. The presence of a stab tip is entirely optional. It doesn’t necessarily have to be constructed after the hilt components, but the blade must be completed first. A sword cover is the final step in sword construction. A stocking taped down at the hilt is the easiest solution, although sewing a custom cover is another viable solution.